A “friendly visitor” stopped by a Minnesota sheriff’s office on Friday, authorities say. 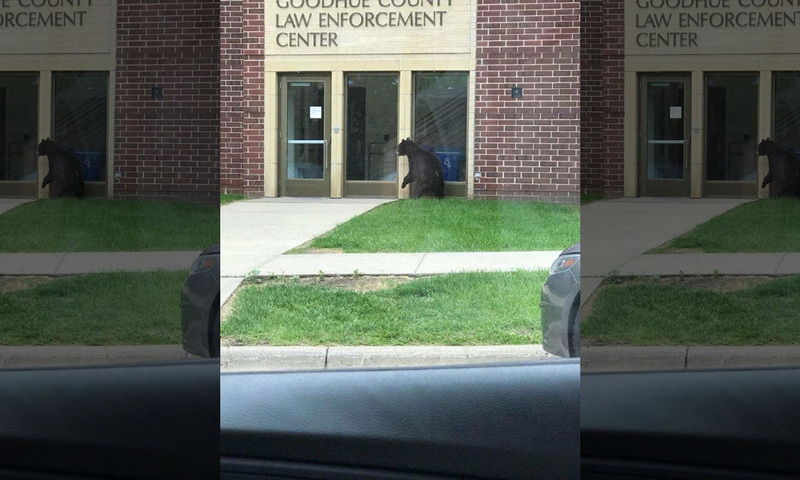 Photos of a bear around the Goodhue County Law Enforcement Center were shared by the sheriff’s office on Facebook. The sheriff’s office is located at the center. “This morning we at the Goodhue County Sheriffs Office had a friendly visitor looking for some of Hanish’s delicious donuts… a few blocks short,” it said Friday. The sheriff’s office said the bear’s trip was a short one. “No worries to the public as black bears are skittish and this one left the area as fast as it arrived,” it explained. Several comments on the Facebook post offered humorous theories about the bear’s presence. “Fighting for his right to bear arms….,” a user wrote. “Maybe he just wanted to file a report…..” another quipped.